The Honda S2000 is one of our favorite modern roadsters; it features an extremely rigid chassis and a high revving four-banger that translates to cat-like reflexes, but limited straight line speed. Turn the S2000 world upside down with this Chevy V8/automatic trans swapped riddler, a 2001 Honda S2000 with LS1 V8 and an automatic transmission, currently for sale in Knoxville, TN for $20,000 obo. This Honda has had its 9000 rpm screaming F1-piston-speed DOHC 4-cylinder replaced with a pushrod V8...hanging out in the engine bay like a Tyrannosaurus Rex living in Central Park. The engine should put out 345 horsepower from its 5.7 liters and mated to the 700R4 transmission will make this thing quite a drag strip terror. Originally this car was white from the factory but it hasn't been repainted...it has been sheathed in a matte blue vinyl wrap. The modern vinyl wrap is an alternative to a paint job and should be removable to expose the original and undamaged paint lying beneath. Inside the original Honda interior is in good shape - as it should be, these cars were build extremely well from the factory and we've been in highly used abused 250k mile examples that look great on the inside. 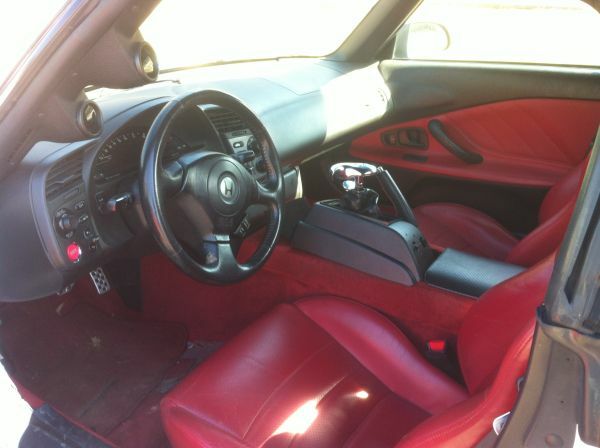 This one looks really weird with the automatic shifter where the snick-snick sweet Honda shifter used to live. 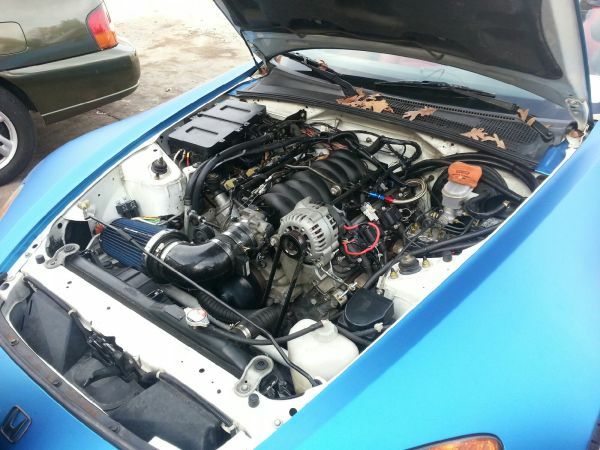 The list of modifications is quite extensive, and we guess the stock S2000 diff won't take the abuse as it's been replaced with a Ford 8.8 inch unit from an SN-95 Mustang Cobra (the only Mustang to get an IRS...so far). 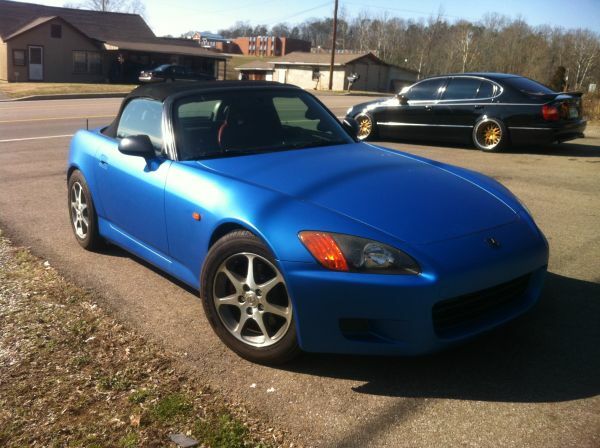 Bottom line: The asking price is a bit optimistic, but we love the idea of a drag-S2000 and think the execution looks good. ~ hate the colors, love the swap. 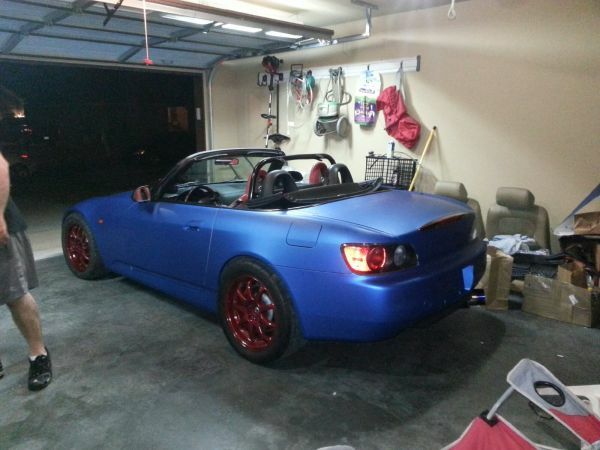 "drag-S2000" sums it up pretty well. It's like spotting a pretty woman and finding out there's more tucked underneath than should be.